Most American Chinese cuisine is a guilty pleasure, but you can follow these rules and indulge without the bulge in any restaurant! 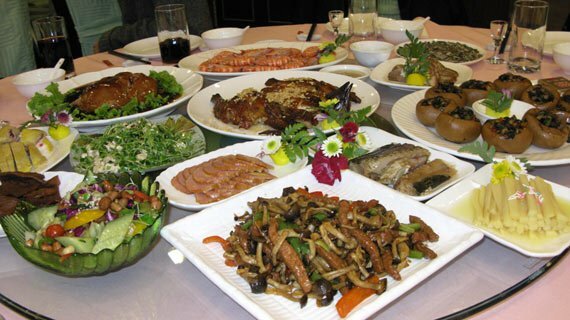 American Chinese cuisine - it's so tasty and cheap, and the portions are usually enough to feed the Red army. We have those gigantic buffet battlefields that beckon us to have one or two, maybe even three dinners in a single sitting! Buffets have everything in the spectrum, from salad to crab legs to dumplings to ice cream. 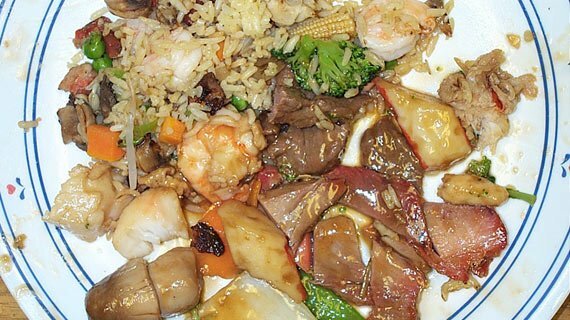 It's sad to realize that most of us have turned our stomachs into ticking time bombs after gorging our guts on multiple plates of greasy Kung Pao chicken. 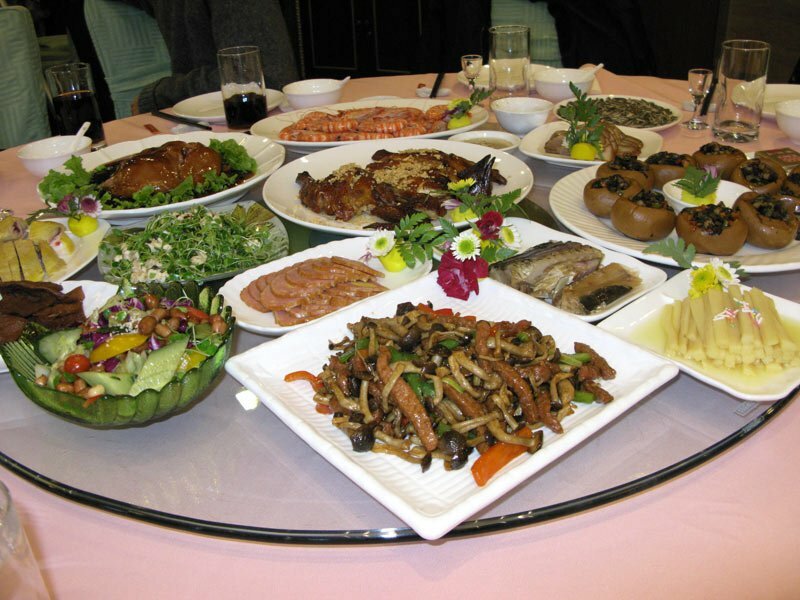 Traditional Chinese cuisine is actually fairly healthy and lean by most standards, but something is lost in translation when it's served on American tables. American Chinese cuisine falls prey to unhealthy cooking, with loads of fat, sodium, sugar and who knows what else. you should know a thing or two. So if you don't want to end up with more unhealthy food than you bargained for, follow these 6 easy rules - and you won't leave your local Chinese joint looking like a giant panda. Congratulations! You just learned "hello" in Mandarin. Chinese is a difficult language for most native English speakers, which makes a menu at the restaurant confusing and hard to navigate. You might be able to identify the meat, but knowing Chinese cuisine cooking lingo is incredibly useful. It allows you to foresee a gut bomb before it detonates in your belly. Let's start with Jum - if you see this word in the food title or description, you're on the right track. This means your entrée will be cooked in a hot liquid just below the boiling point, otherwise known as poaching. There's also Kow - this means the meal is roasted. And last but not least, Shu - you're looking at a barbequed dish in this case. Remember, don't be afraid to ask your server to steam your food, and don't let them smother your meal in butter! Who ordered the butter with a side of Chinese food? 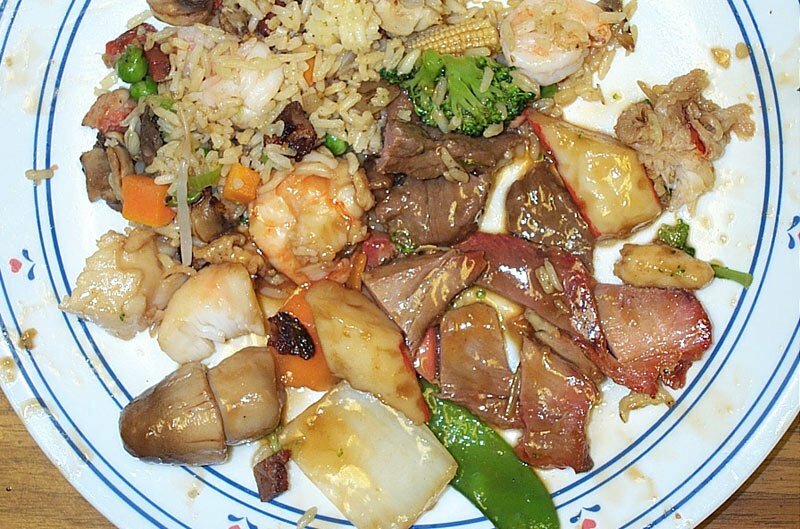 Appetizers are tricky at any restaurant, but they can be especially unhealthy at an American Chinese joint. You'll usually see egg rolls, spring rolls, deep fried wontons, dumplings, green onion cakes, deep fried squid and Mu Shu pork - danger, danger! Though these mouth-watering treats are classic appetizers, the majority of these options are loaded with excess fat, fried in oil or covered in high-carb dough. If you can't resist an appetizer, order some Wonton soup - it's the lightest and healthiest one. I'd suggest picking chicken as your meat. 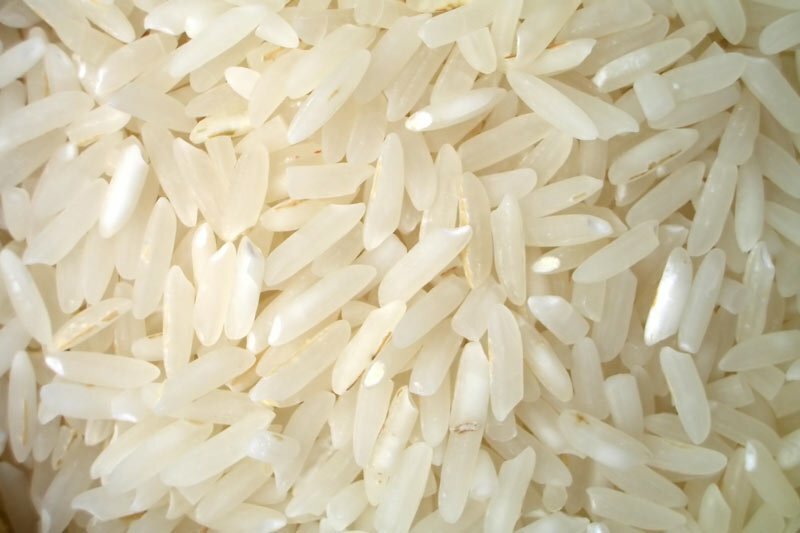 Rice is a traditional healthy carbohydrate source, but beware of your American Chinese rice dishes. Always order steamed rice rather than fried - fried rice packs in way too many unnecessary calories (with added eggs, oil and butter). In addition, don't be afraid to ask your server for brown rice rather than white. 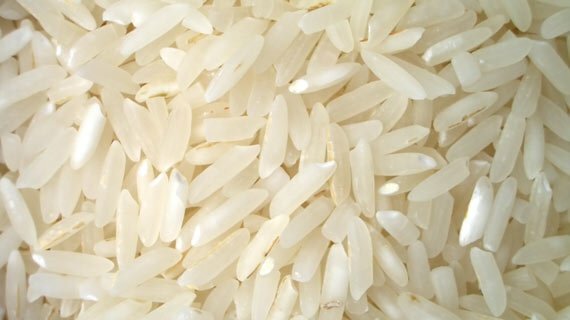 Most American Chinese restaurants will serve the sticky white rice, an especially fast-digesting carb that will cause your blood sugar to soar. Brown rice may not be in the menu, but most restaurants have it available upon request. Portion size is also important. A typical portion of rice on a plate of American Chinese food could easily feed two people, so eat according to your dietary requirements. It's not just what you eat, but how much! No, you don't have to count the individual rice grains. We all love unique Chinese sauces, but they can be calorie cannons and may blast a hole in your nutrition plan. If you don't know the ingredients behind the flavor, you could be asking for trouble. Pass on sauces containing high amounts of added sugar like Teriyaki, sweet and sour, or General Tso's. Smarter choices include hot mustard, oyster sauce or hoisin sauce. You can have a little soy sauce, but keep in mind that this sodium-packed liquid won't help you battle the bloat. The simplest way to add some pizzazz to your meal is to add some freshly-squeezed lemon on the side. It's flavorful, refreshing and healthy. Or, cut your losses by asking for half the normal amount of sauce. Some people go vegetarian with their Chinese meals just to try to keep the calorie count down, but an overabundance of carbs in the dish lacking protein is a big mistake. Absentee protein could set you up for a sharp blood-sugar spike, encouraging fat gain and increased hunger. You need to be selective about your protein pick. Chicken or shrimp are your leanest options, and sources like duck and beef are the fatty ones, best-avoided. Pork is also an option, but save pork for a dish you cook for yourself, just to be on the healthier side. 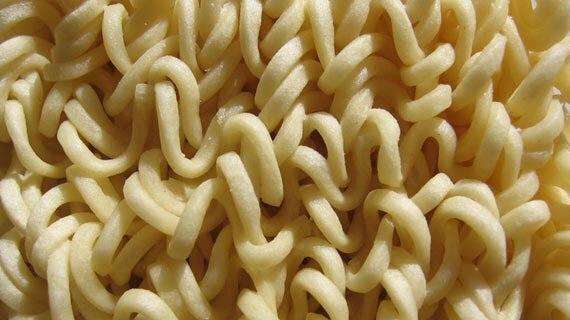 Without the protein, those noodles look so boring anyway. Finally, be sure to pay attention to any add-ons that get tossed onto your dish, because they can easily skyrocket your calorie count. 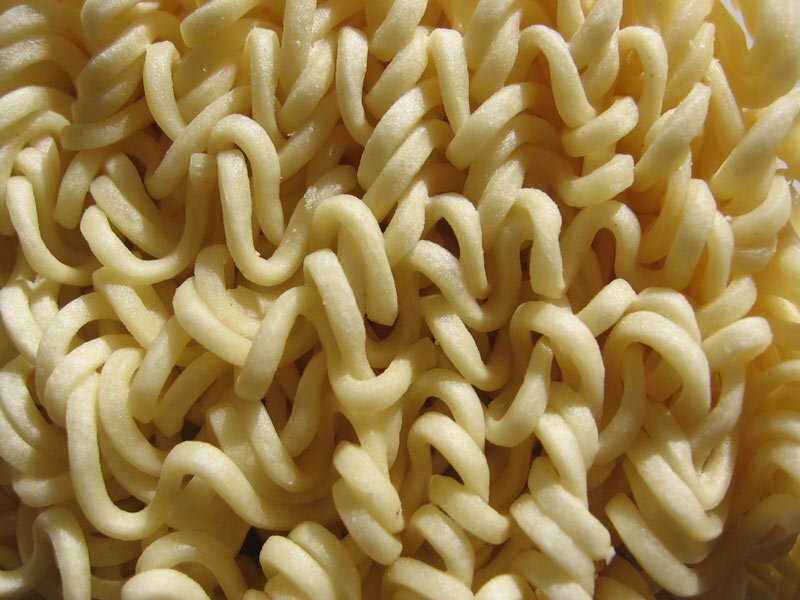 Add-on examples include ramen noodles (or any other deep fried noodles), nuts and water chestnuts. Nuts and water chestnuts are relatively healthy. But, when used in large amounts and combined with the rest of your meal, they can tack on unwanted calories. Now you can walk in and out of an American Chinese restaurant with your head held high and your shirt still buttoned. Zai Jian (goodbye)! Die, Cravings, Die! 11 Things You Can Do To Kill Them Where They Lay!